The State Fair of Texas proves that everything is bigger in Texas. 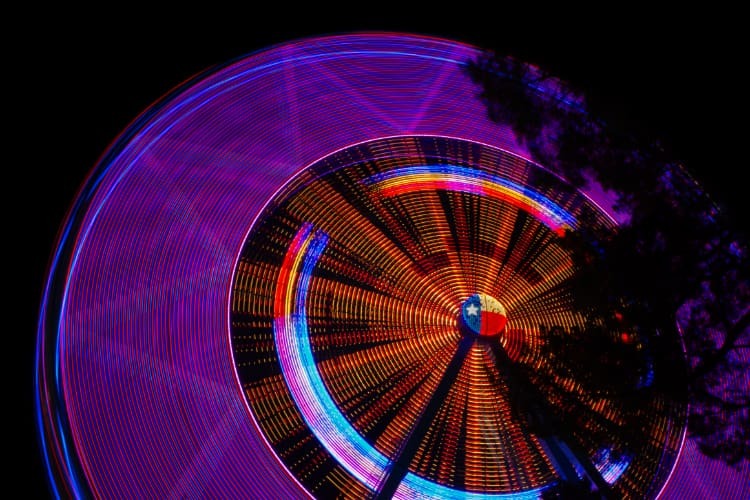 During its nearly month-long span from late September to October, the fair hosts a number of larger-than-life attractions: from live concerts to livestock expositions, from college football tournaments to rides big enough to silhouette the Dallas skyline. 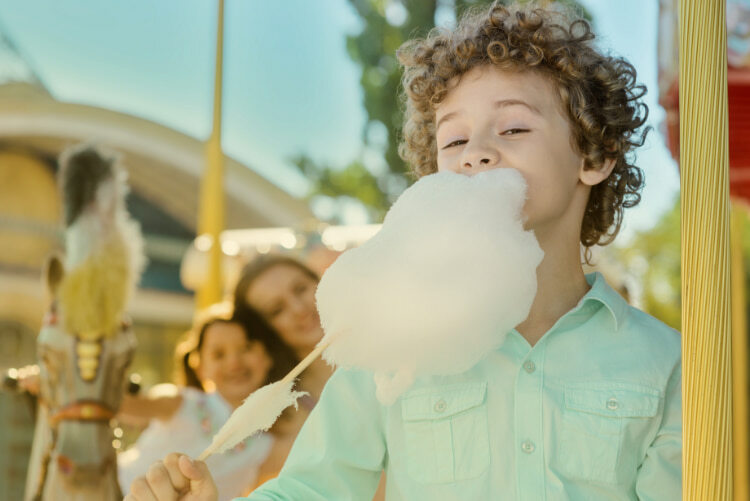 Taking in all that the fair has to offer doesn’t have to be a daunting task for first-timers, but planning ahead can make your trip less stressful. For example, scheduling transportation plans beforehand with a private bus rental takes the hassles of driving, parking, and navigating out of the equation. Texas Charter Bus Company provides quality transportation services in the Houston, San Antonio, and Austin areas, as well as throughout the state. No matter where you hail from, no one in your group will not want to miss the State Fair of Texas. Whether you’re looking to chow down on fried food, go for a spin on the giant Texas Star Ferris Wheel, or take a selfie with Big Tex, this huge event has something in store for everyone. The fair partners with the Westin Dallas Park Central, Aloft Dallas Downtown, and other local hotels to accommodate guests hailing from across the state. These lodgings are located anywhere from 2 to 14 miles from the fairgrounds, so attendees should factor transportation to and from their hotels into their travel plans. While Fair Park is located along the DART Rail Green line and is accessible from the Denton County A-train, navigating public transportation to the fair is not recommended for large groups of out-of-town visitors. Finding rideshare services with enough space to accommodate everyone is also a challenge, so a charter bus or minibus rental is the best option. With a private shuttle rental, your professional driver can coordinate the pick-up and drop-off locations and times, handle the hunt for affordable parking, and even look after belongings left on the bus while you wander the fair. Plus, with everyone in the same vehicle, you can ensure your group arrives all together and on-time. Even visitors attending the fair on a budget can make the most of the fair’s best attractions. The State Fair has offered many ways to discount tickets in the past, from coupons available at local Dallas businesses to half-price admission when you bring an empty Dr. Pepper can to the gate after 5pm. Thrifty foodies should plan their trip around the special food pricing on Thursdays and enjoy funnel cakes, cotton candy, and the famous Fletcher’s Corny Dogs on the cheap. One of the best ways to save money on your trip to the State Fair is group travel. Group discount tickets are available if bought in advance, allowing groups of 20 or more people to save up to 39% on admission. Even better, coordinating a private shuttle plan can save your crew of fair-goers many transportation costs in the long-run. Renting a charter bus or minibus costs less per person than most rideshare services or car rentals, and your fellow visitors won’t have to worry about paying for gas or parking fees for multiple cars. The State Fair of Texas has plenty of amenities to ensure the festivities are accessible for everyone. The fairgrounds offer wheelchairs, electric carts, strollers, and wagons for rent through HomeTown Mobility, with service stations located at every entrance. Reservations for wheelchairs and scooters need to be made 24 hours in advance, so keep that in mind before you embark for Dallas. For a full listing of the fair’s accessibility services, check out the State Fair of Texas’ FAQ. Texas Charter Bus Company connects you with transportation services that include ADA accessibility as well as any other amenities to ensure your passengers’ comfort, many of which are available at no additional cost. Tailor your ride to your needs with plush reclining seats, plenty of legroom, luggage and overhead storage compartments, WiFi, power outlets and much more. We will go the extra mile to make sure your group arrives comfortably and ready for a fun-filled day at the fair. If you want to forgo long lines and large crowds, your best bet is to go during the week, early in the day. The fair opens at 10am most days, so have your driver drop your group off at the entrance with plenty of time to beat the line waiting for the gates to open. If weekdays are not an option, your group can avoid the worst of the crowds as long as you steer clear of the fairgrounds on opening day, closing day, and the Saturday of the Red River Showdown at Cotton Bowl Stadium. On those days, why not explore other Dallas attractions? Take the day to visit the Dallas Museum of Art, get your heart pumping at Zero Gravity Thrill Amusement Park, or watch the game at any of the restaurants or bars in Deep Ellum. A private transportation rental allows you the freedom to schedule your Dallas adventures at your own pace, making your group’s visit to the State Fair of Texas all that much more memorable and personal. Ready to reserve your ride to the State Fair of Texas? Whether you need a compact minibus to transport your fellow attendees from nearby cities like Fort Worth, or a fleet of charter buses to whisk everyone into town from across the state, we can find the right rental plan for your group’s size and itinerary. Our team of reservation specialists are available 24/7 to help you with your transportation needs and provide a free, personalized quote. Call us at 214-396-2444 to book your private charter bus to the State Fair!